Jamiroquai, Lil Silva, Blu Cantrell, 50 Cent, Dj Slugo and more. This show was 90th in the global electronica/dance chart. 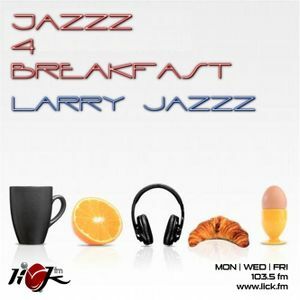 Catch the legend that is Larry Jazzz for breakfast, live in the Lick studios, with his eclectic selection to start your day!